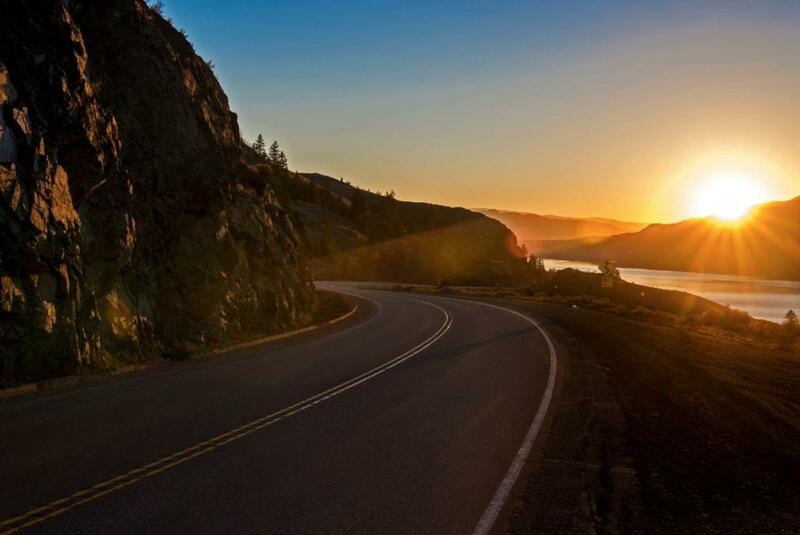 If a road trip could conjure a story of pristine nature, fresh country air, a kaleidoscope of colours and a historical recount, Highways 5A and 8 southwest of Kamloops make the mark. Rolling grasslands where cowboys still ride, freshwater lakes home to trophy Rainbow Trout, and roadside pullouts for picnic lunches and perfect photo ops are the norm along this route. 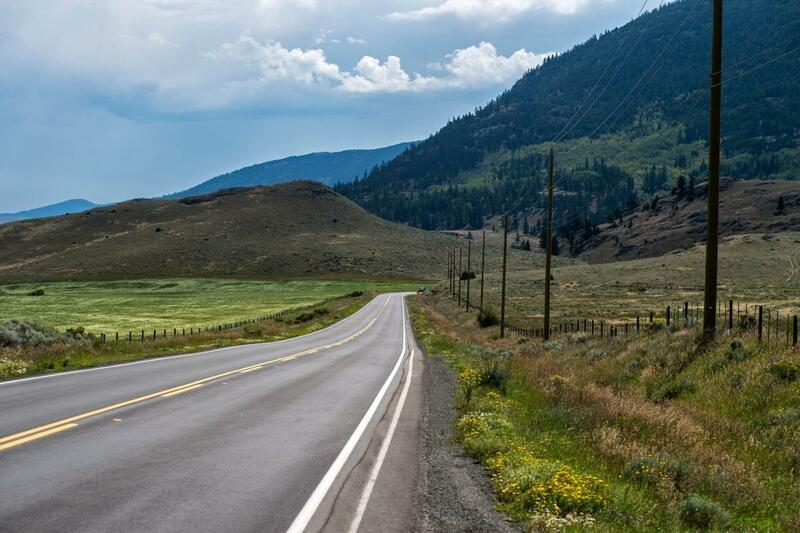 Highway 5A or The Old Merritt Highway, as locals refer to it, is a day trip that will have bare feet on the dash, windows open wide and perhaps even gasps, as each bend in the road lends to a new palette of natural landscapes. Lakes line this highway where paddlers, anglers and avid bird watchers visit and explore. Shumway, Trapp, Napier and Stump Lakes, guide you along the route arriving at Nicola Lake and the historic ranching community of Quilchena. Pop into the Quilchena General Store or stop for a bite at the 110-year-old Quilchena Hotel. Continue to the town of Merritt and follow signs directing to Highway 8 and Spences Bridge. This route has great curves. Follow the Nicola River and take your time as there are numerous rest stops with picnic tables and campgrounds. Nearing Spences Bridge, the scenery begins to change again. Sandstone cliffs, fragrant sagebrush and desert-like features emerge. Hoodoos seen along the way are souvenirs of the landscapes evolving over time. Arriving into Spences Bridge, the Nicola River will empty into the Thompson River and begin the return to Kamloops along Highway 1. Keep on the lookout for California Bighorn Sheep frequently grazing roadside. This stretch of the Trans-Canada Highway was once the original Cariboo Gold Rush Trail where gold prospector’s panned and scoured for gold in 1858. Climbing the long Oregon Jack Hill, a highway pullout provides spectacular views of the Thompson River Valley and benched landscapes looking east. 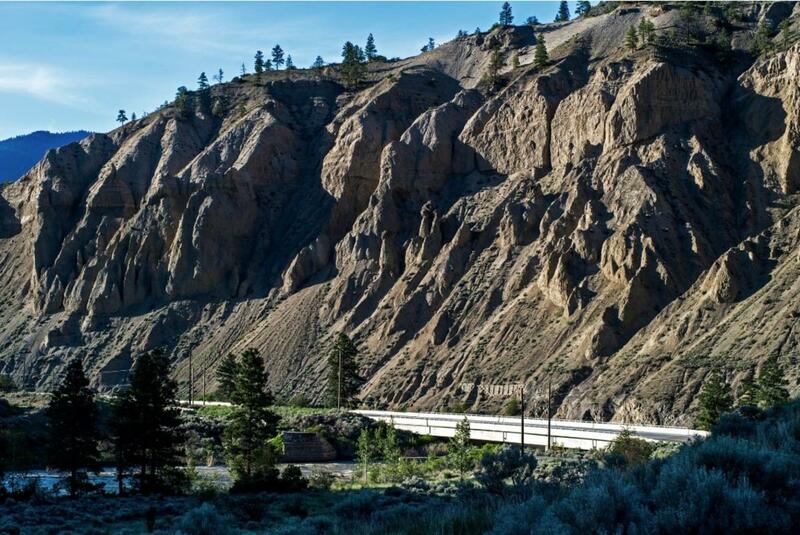 At Cache Creek, stay right and take Highway 1 east to Kamloops and follow this curving highway to return to where the journey began. Take in one last stop at the Kamloops Lake lookout, which provides stunning sunsets with views of Tobiano and Kamloops in the distance. 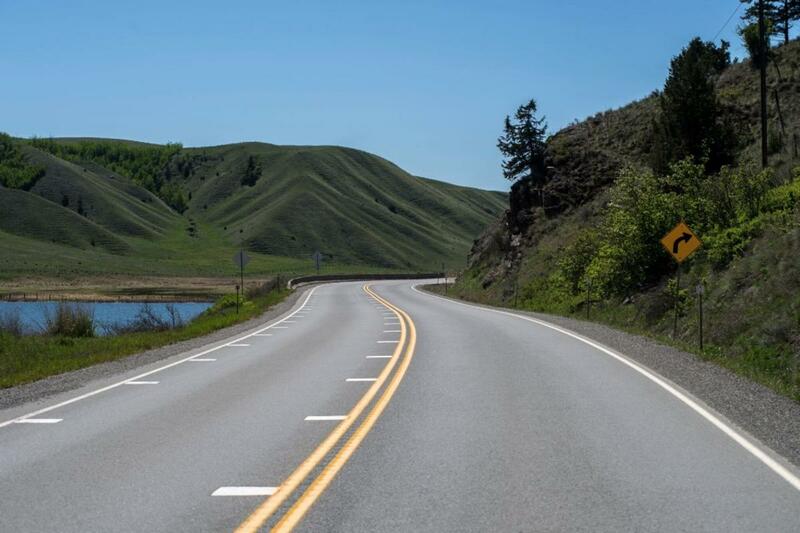 Discover more circle routes around Kamloops to hit the open road. Bill is an avid writer and photographer. He spends his time fly fishing on one of Kamloops' many lakes or streams and out discovering the unique, out-of-the-way roads less travelled.